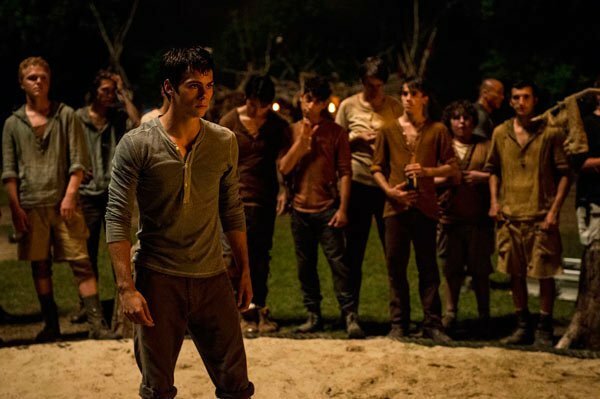 The Maze Runner has topped the North American box-office with $32.5 million on its opening weekend. The adult fiction adaptation beat two other debuts into second and third spot – Liam Neeson’s A Walk Among the Tombstones took $13.1 million at No 2. This Is Where I Leave You entered at number three with $11.9 million. The Maze Runner had a relatively low budget of $34 million. Based on the book by James Dashner, the movie tells the story of a group of teenage boys mysteriously locked inside a giant maze. “Our little $34 million-budgeted film is pretty darn strong,” said Chris Aronson, head of distribution for Fox. Fox also had success recently with another young adult film, The Fault in Our Stars, which took $125 million and only cost $12 million to make. A Maze Runner sequel entitled The Maze Runner: The Scorch Trials is set to open in September 2015. Last week’s number one, The Good Deed, starring Idris Elba, dropped to number 4.